2 McClintock, The Voyage of the 'Fox' ... , Ch. II, p. 26. 4 Leslie, Narrative of Discovery and Adventure in ... (Edinburgh: Oliver & Boyd, 4th ed., 1835), p. 305. 5 Arctic Searching Expedition: A Journal ... , p. 341. 6 McClintock, The Voyage of the 'Fox' ... , p. 31. 7 History of the English People , p. 183. 8 Traill, The Life of Sir John Franklin , p. 14. 12 Traill, The Life of Sir John Franklin , p. 57. 15 Fort Chipewyan was established by Alexander Mackenzie in 1788. 16 Traill, The Life of Sir John Franklin , p. 73. 17 It is to be remembered that there was a great competitive contest that had gone on these northern parts, for years: the North West Company and The Hudson's Bay Company. It was just about then, 1820, that the British government was passing legislation to amalgamate the two. 18 On May 11, 1819, two ships, the Hecla and the Griper, under Lieutenant Parry, had set out from England for Baffin Bay. 20 Franklin's journal, in Traill at p. 86; it is to be remembered that this was only in September. 21 Ibid. at p. 104. The supplies consisted of "dried deer meat and a few tongues." 22 Ibid. Tripe de roche is a name given by the French to an edible lichen of the genera Gyrophora and Umbilicaria, which afford a slightly nutritious but bitter and purgative food. Also called rock tripe. From the OED, we further learn, that the Chipeways call it waac. 26 Trial described Fort Franklin and its occupation by Franklin and his men during the winter of 1825-6 at p. 125. 27 Traill, p. 131. A canoe could carry a small sail in a wind going generally in the direction one wished to proceed. But, by 1821, northwestern explorers, unless sending messages express, were not much using canoes, but rather York Boats. These boats were solid and stretched from tip to tip 34 feet with a 9 foot beam. They carried a lot more freight, and, while it was a struggle to get overland when portaging, wore well. For a broader description, see London Correspondence Inward from Eden Colville, 1849-52 (London: The Hudson's Bay Record Society, 1956) p. xli. 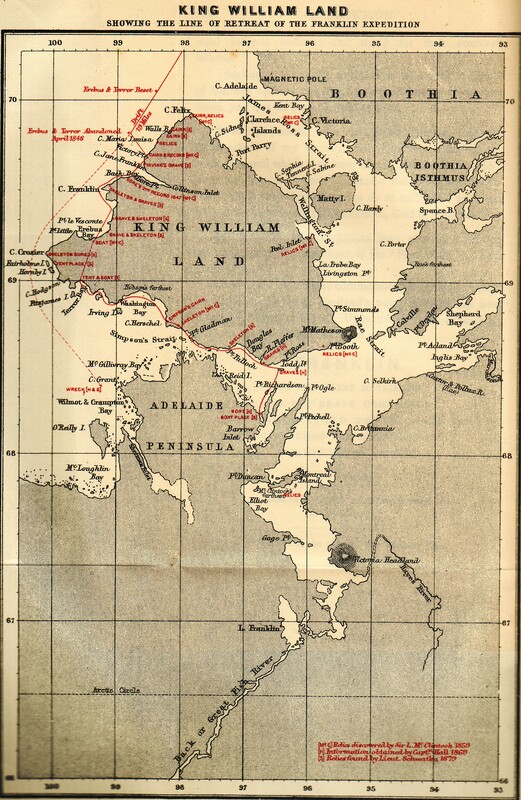 28 Arctic Explorations: In Search of Sir John Franklin , p. 223 & p. 242. 31 Jane Griffin was a friend with Franklin's first wife and the attachment to her extended to her daughter, Eleanor, John Franklin's daughter. Jane fitted in very easily as the mother of Eleanor, and, as it turned out, the new wife of John Franklin. 34 Traill, p. 200 & pp. 218-9. 35 Two of John's brothers saw service in India, "one as a judge, the other as a scientific soldier." (Fletcher, et al., Historical Portraits 1400-1850 (Oxford: Clarendon Press, 4 vols, 1909-19), Vol. 4, p. 274. 38 See Traill, p. 242. 42 Transportation to Tasmania ended in 1853. 43 Robert Wm. Service, "Men of the High North," Ballads of a Cheechako . 44 McClintock, The Voyage of the 'Fox' ... , pp. 27-8. 45 Partial list of the officers of the Erebus and the Terror is set out in McClintock's The Voyage of the 'Fox' ... , at p. 28 and at pp. 37-43. 47 See Traill, p. 340. 52 As set in Traill, pp. 381-2. 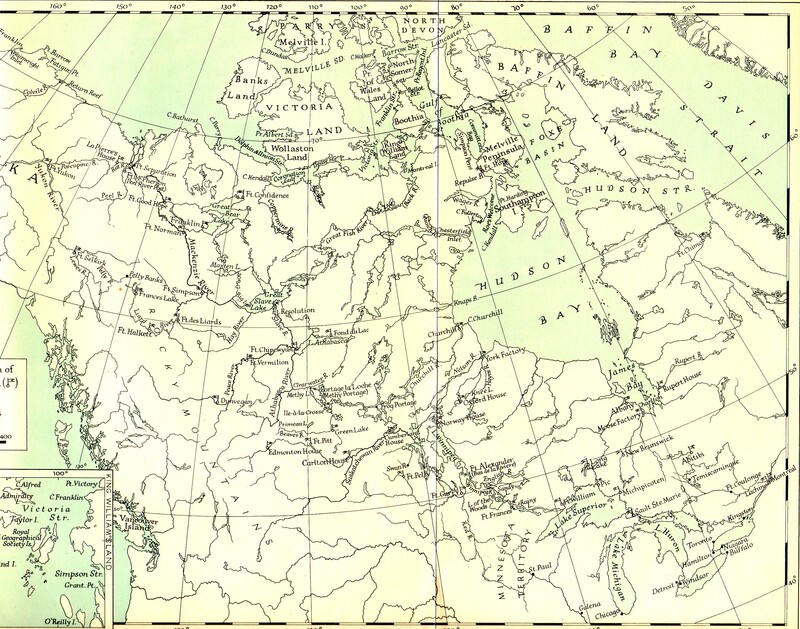 57 Rae's Arctic Correspondence, 1844-55 (London: The Hudson's Bay Record Society, 1953) p. xxxix. 58 Trial, p. 370. Trail wrote that at the point that they left the ships their numbers had been reduced to 105, with "no fewer than nine officers (including Franklin himself) and twelve men having died, not counting the three who had died on Beechey island during the first winter (1845/6). We read from J. M. Wordie's introduction (p. xxxix) to the Hudson's Bay publication, Rae's Arctic Correspondence, 1844-55 : "The ships then lay fifteen miles north-north-west of Point Victory, and Crozier landed near there with 104 officers and men, 9 officers and 15 men having died." 60 A facsimile of the note is set out in Traill at p. 362. 63 See J. M. Wordie's introduction (p. xliii) to the Hudson's Bay publication, Rae's Arctic Correspondence , 1844-55. 66 See, Rae's Arctic Correspondence, 1844-55 (London: The Hudson's Bay Record Society, 1953) p. liv). 70 Rae's Arctic Correspondence, 1844-55 (London: The Hudson's Bay Record Society, 1953) p. lxxix. 71 Traill, p. 395; See Rae's written account of this meeting in 1864 with the Eskimos contained in Rae's Arctic Correspondence, 1844-55 (London: The Hudson's Bay Record Society, 1953) p. 275; at pp. 286-7 is to be found Rae's list of the articles purchased from the Eskimos, including such things as: silver table forks, a silver plate engraved with "Sir John Franklin, pieces of watch cases, pieces of Optical instruments, etc. 72 McClintock, The Voyage of the 'Fox' ... , pp. 52-4. 73 It must be that parties of the Inuit saw these two ships, stuck as they were for better than two years, and maybe a number of years after. 74 McClintock, The Voyage of the 'Fox' ... , p. 54. At page 194, we find: "After much anxious enquiry we [McClintock and his party when made in May of 1859] learned that two ships had been seen by the natives of King William's Island; one of them was seen to sink in deep water, and nothing was obtained from her, a circumstance at which they expressed much regret; but the other was forced up by the ice, where they suppose she still remains, but it is much broken. From this ship they have obtained most of their wood, etc. ; Oot-loo-lik is the name of the place where she grounded." 75 Rae's Arctic Correspondence ... , pp. lxxxi & lxxxvii. 79 Named after the London distiller, Felex Booth. 80 McClintock was asked the question why so few bones were found of the 100 men, or so, that died along the way of their retreat. He wrote: "The answer is simply, because -- like those who travelled in search of them -- they were compelled to drag their boats and laden sledges upon the sea ice, which affords a level roadway, and which the land does not. And, it is hardly needful to observe that the bodies of those were overtaken by death upon the ice, found their final rest at the bottom of the sea, upon the summer thaw of 1848." (McClintock, The Voyage of the 'Fox' ... , Conclusions, p. 279. 82 Ibid., p. 411. A seemingly complete list of these relics discovered by McClintock are set in his work, Appendix, The Voyage of the 'Fox' ... , p. 282-8. 83 I suspect O'Reilly Island off the est coast of Adelaide Peninsula of the main land - see Map. 84 In his introduction to the Hudson's Bay publication, Rae's Arctic Correspondence, 1844-55 , J. M. Wordie wrote this in referring to what the Inuit had said at the time: "One of the ships apparently sank in Victoria Strait. The other was found by Eskimos either near O'Reilly Island or near Grant Point off the west coast of Adelaide Peninsula. [It is speculated that some] of the officers and men ... returned to the ships after these had been abandoned, and a few, according to Eskimo reports, lived on the one which was found near O'Reilly Island." What, of course, has recently been discovered at the time of this writing (2014) is one of Franklin's ships in a few fathoms of water, which the searchers confirmed was the Erebus. They have not, understandably, given a location point, but it looks like the position is just off the northern part of off O'Reilly Island; we will see. This was what the Inuit said years ago. 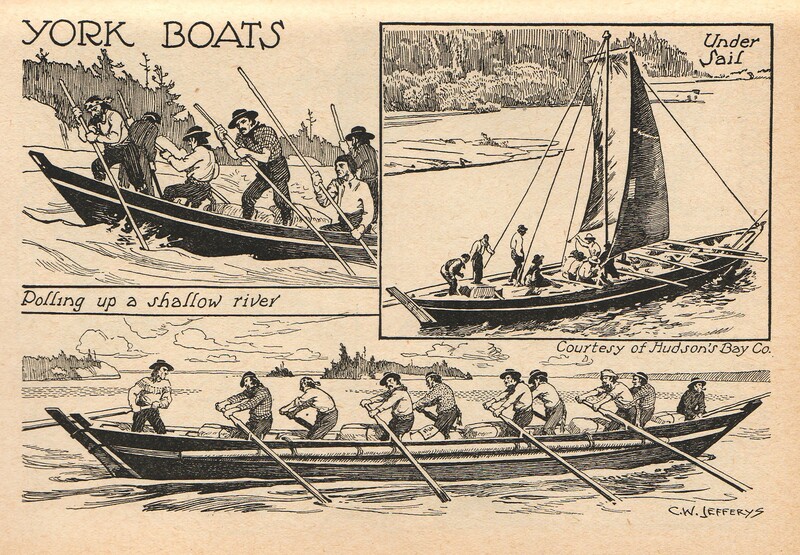 85 Schwatka, The Search for Franklin: A Narrative of the American Expedition under Lieutenant Schwatka (London: T. Nelson and Sons, 1882), Intro., pp. 16-7. 86 Schwatka, Intro., p. 17. 87 Richardson, Arctic Searching Expedition: A Journal ... , p. 2. 88 Traill, p. 390. There was one cairn built by Gore. We might suppose that Franklin was of the view that his was a sea voyage and he did not waste time going ashore, especially where there was open water to sail through. The absence of cairns, of course, caused considerable trouble and expense, as searchers were given few clues as to where to start or where to follow along; though, when the site of the first winter's camp was discovered in 1850 (see Austin), finally the searchers had a place to start. 89 See Traill, pp. 386-8 & p. 411.